Fashion conscious shoppers can now pick up the perfect, luxury handbag at just a fraction of the typical cost. New brand DBR Bags combines on-trend designs with high quality craftsmanship and budget friendly prices to cater to stylish women with a penchant for eye-catching accessories. The first collection from DBR Bags features bold colours, unique designs and fashionable details that wouldn’t look out of place on the catwalk of a fashion show. With on trend tassels, floral motifs and chains used as handle hardware, the designs are contemporary and modern, with a functional and practical edge. An affordable price tag is coupled with a no compromise approach to quality – expect luxe details, beautiful materials and superb craftsmanship. 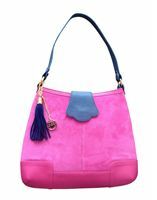 Each bag is made from Italian leather or suede, fully lined and designed to see out the seasons with style. Diana Rennie, founder and creative designer of DBR Bags, said, “The strong and bold feel of our designs are ideal for adding a stylish touch to any outfit, perfect for heading to the office on a Monday morning and transitioning to the bar on Friday evening. The debut collection is an eclectic mix of aesthetics. The capsule range includes shoulder and tote bags ideal for work, hobo and backpack designs to complete a casual outfit and clutches with detachable straps for day to night. 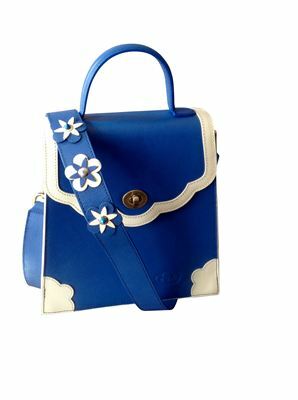 To find out more and shop DBR Bags’ first collection visit www.dbrbags.co.uk. DBR Bags was founded in 2016 and is a British luxury women’s leather handbag brand for the stylish, cosmopolitan and socially conscious women who loves fashion and appreciates being on trend. DBR Bags is driven by its core values of elegance, quality and integrity, and strives to do its best by its customers, workforce and the environment.